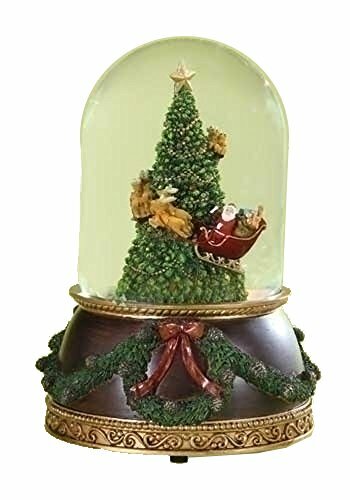 This is a fun, classic Christmas snow globe glitterdome made by Roman, Inc. It depicts Santa flying his sleigh with the reindeer around Christmas tree. Santa and his reindeer rotate as the classic tune Santa Claus is Coming to Town plays. Size is 7.75" tall and 120MM. It comes in a nice gift box.